A hearty and delicious summertime soup from Boston’s famous North End Italian neighborhood. 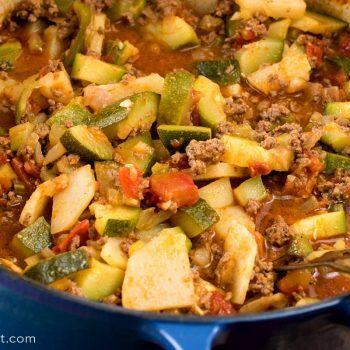 All of the credit for today’s wonderful Italian Zucchini Stew recipe needs to go to Marguerite DiMino Buonopane, the author of one of our all-time favorite cookbooks called, “The North End Italian Cookbook.” It’s there that we found this easy and delicious ground beef and vegetable stew recipe. 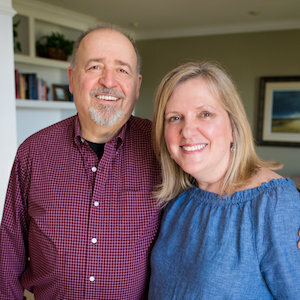 That cookbook – now in its sixth edition – captures the true essence of Boston’s Italian North End neighborhood with so many great, authentically-delicious Italian family recipes. It is often one of the first cookbooks we reach for any time we are looking for a new recipe to try. In the case of today’s Italian Zucchini Stew, we were simply looking to make a recipe where we could use up some of our garden zucchini – which are growing like crazy this summer! 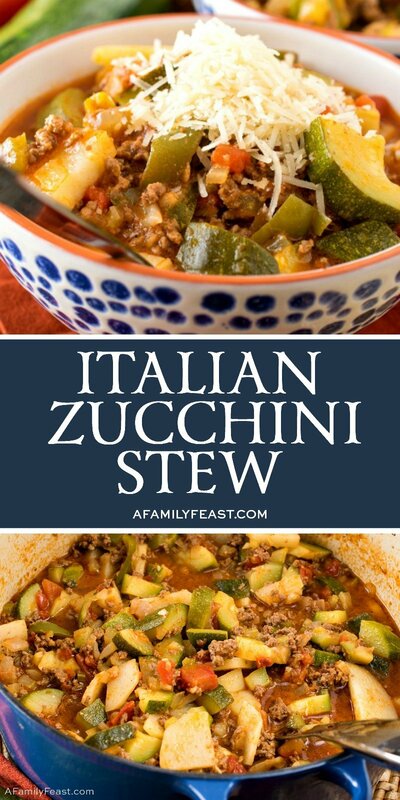 We hadn’t set out planning to share this recipe here on A Family Feast – thinking it was too similar to the Zucchini Tomato Italian Sausage Soup we shared a few weeks ago. 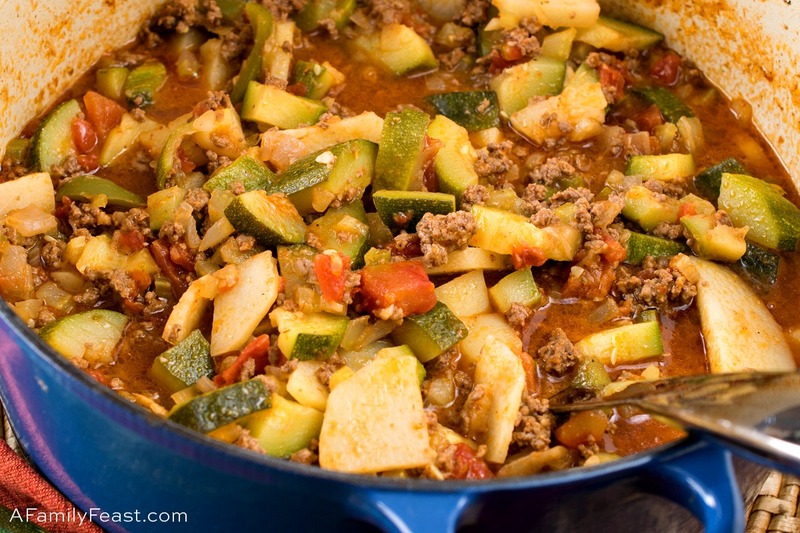 But this Italian Zucchini Stew has a completely different flavor profile – and it was so good, we had to share! 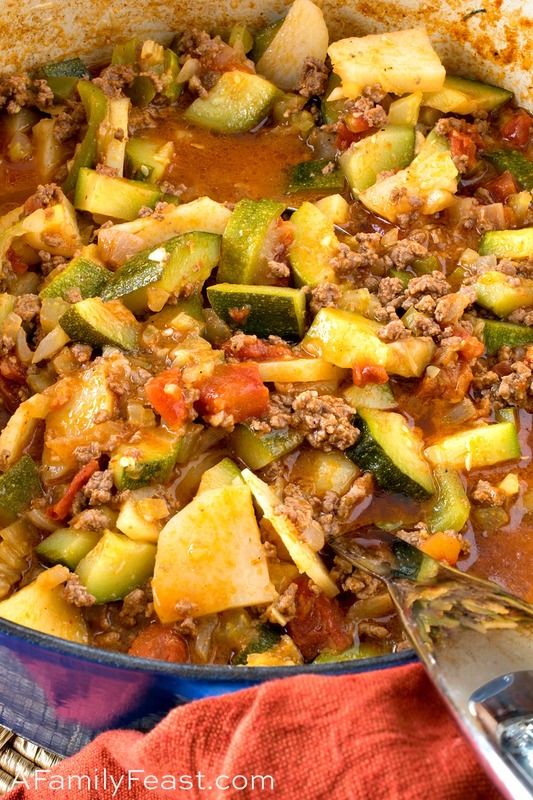 How do you make Italian Zucchini Stew? 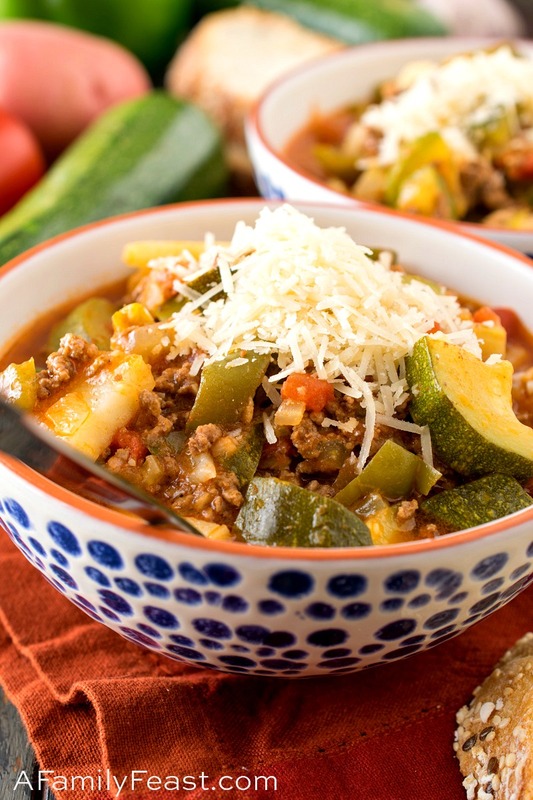 In this simple stew, bite-sized pieces of zucchini are cooked together with diced tomatoes, ground beef, slices of potato, and diced green bell pepper plus seasonings. Most of the prep is chopping the vegetables – then it all cooks up quickly in a big pot. 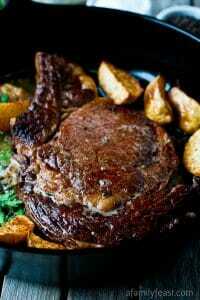 Once cooked through, stir in grated Parmesan cheese and season to taste with salt and pepper. 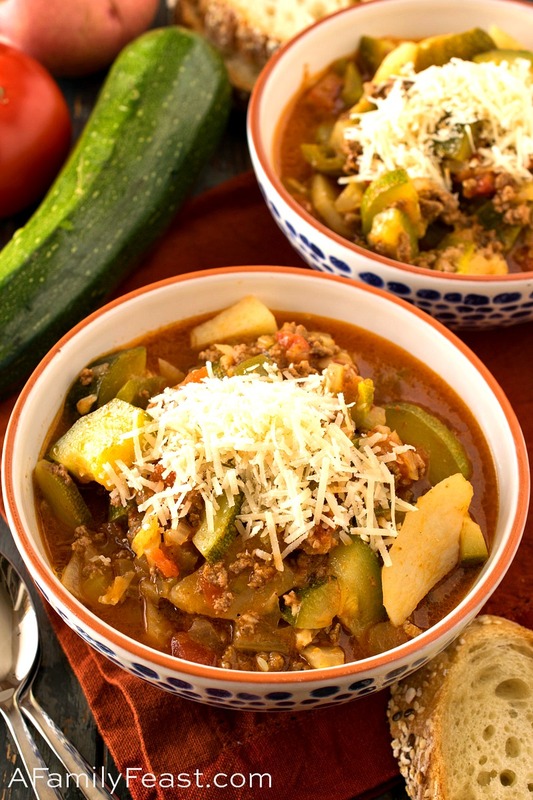 Serve this Italian Zucchini Stew with crusty bread on the side and even more grated Parmesan cheese on top! This soup recipe makes enough to feed a crowd, and any leftovers can be heated up the next day for lunch. 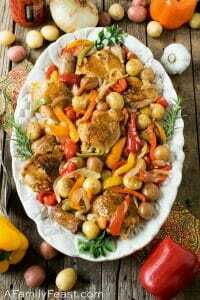 In a large Dutch oven or heavy bottomed pot, heat olive oil over medium high heat and add the ground beef, onion, garlic, pepper flakes, green pepper, celery, salt and pepper and sauté until meat has browned and the vegetables almost tender. Add zucchini, potatoes, tomatoes and water. 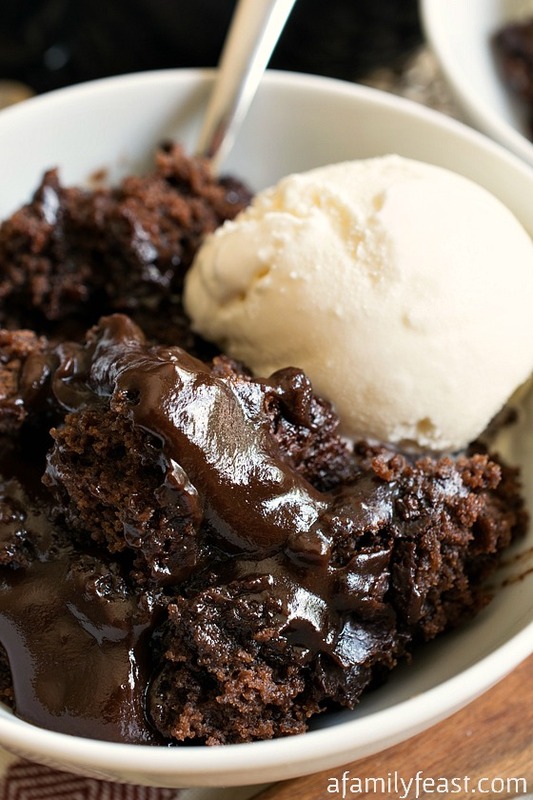 Bring to a gentle bubble, cover and reduce heat to low to medium low and cook for ten minutes. Remove cover and add in tomato paste and cook for a few more minutes or just until the zucchini is cooked. Do not overcook the zucchini. Remove from heat and add the cup of Parmesan and taste for additional salt and pepper. 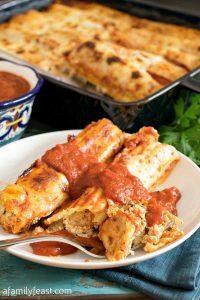 Serve with additional Parmesan and crusty bread. Cut zucchini lengthwise in half then each half in half lengthwise again to get four long quarters. Then slice the opposite way into bite sized pieces. Peel the potatoes and cut in half lengthwise. 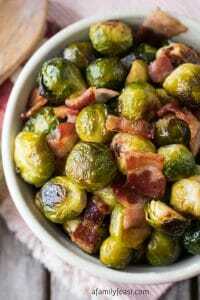 If they are small, cut into thin slices. 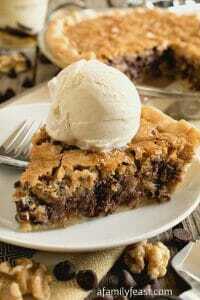 If they are large, cut the half in half again and then into thin slices. You want the potatoes to be thin so they take a similar time to cook as the bigger zucchini pieces. Hi! Do you drain the fat after browning the beef or leave it in? Thanks! Hi Rebecca – It’s really your choice. The recipe calls for 85/15 which is somewhat lower in fat than 80/20 or 75/25 so we left it in (great flavor) but you can drain it if you prefer. This sounds so good and I needed another recipe for zucchini. 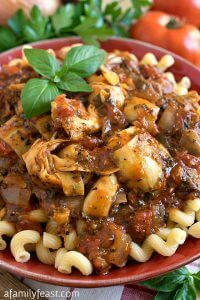 We love soup, stews and chili, something comforting about one bowl meals. 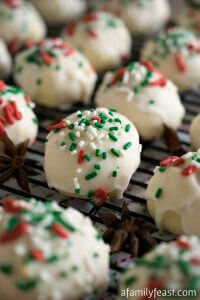 I have read several articles about The North End Italian Cookbook, now I have to purchase it. I have a Parmesan rind in the freezer to toss in stew.